Rate this Article In Pony Games there are lots of things that you can do, and in this article we will discover some of those wonderful activities. Pony Games have a special place for us, there is something relaxing about looking after ponies, and they are undeniably cute. 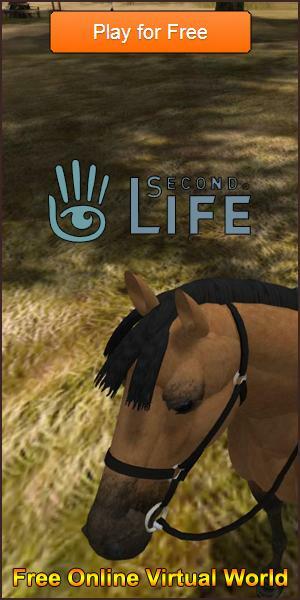 There are a few games that focus specifically on the world of ponies and donkeys, and they bring us some unique tasks, and fun things to enjoy. Just like horses, ponies need looking after too. They need to be fed and watered, cleaned and exercised. This has always been true in many animal games and these are no exception. Though in this case, often you are able to look after them with a simple click of a button. But you can do more than just the basics with ponies, in many games you can dress them, and even add special things like wings and crowns. Playing dress up with your pony is fun and there are lots of games that have some beautiful costumes and accessories for you to play with. There are also games like Club Pony Pals that allow you to meet new friends, as well as actually ride your pony and go exploring fun places. Riding a pony in one of these games can be amazing, especially if the world you ride in is beautiful. Making friends is always nice, and you can share in your experiences, and help each other out with tasks or information on the game. As we have mentioned, your pet ponies will need feeding and looking after, in some of the games you are able to grow your own fruit and crops to feed them with. This gives you the chance to choose their diet, but it is also nice to be able to manage and organise a farm or garden. It’s not just ponies either, often there are other cute animals or pets that you can adopt and look after. From farm animals to kittens and much more. The variety of animals available really adds a nice flavour to these pony games, and gives the opportunity to learn about other creatures too. As well as the animals, there are often special and unique games that you can play with or for your pony. These special games will often reward you with items you need, or coins to spend on items for your character or pony. There are some amazing pony games for you out there to try, and we hope that whichever one you play has a lot of fun and some wonderful ponies. While there are other activities in these amazing games, these are the ones that we have enjoyed the most, and that we hope you enjoy too.